In his capacity as Chairman of Churches Together in Medway, Director Peter Marchand was privileged to host CARE’s EngaGE15 Election Forum on 25th February 2015. In a current rapidly changing political climate, and with the General Election only a few weeks away, many Christians are seeking God as to how to cast their vote. We have a mandate to be involved in the out-workings of society, but when no one party or leader appears to stand out as upholding the laws and principles of God, what should we do? CARE helped people face up to and think through the relevant questions and issues. Whatever the outcome on 7th May, one thing we must do is pray for those in authority, that we may lead a peaceful, godly and dignified life (1 Timothy 2.2). Director Rev Peter Marchand was recently appointed Chairman of Churches Together in Medway http://together.ourchurchweb.org.uk/medway/. This is a non-stipendiary, three year post. of Gillingham and Chelsea FC fame and now a Pastor in Canada flew over to be our main speaker that day. Inn promote and support various prayer initiatives, including the Global Day of Prayer. 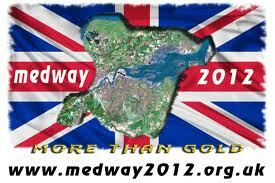 From 2005 to 2010, we coordinated Global Day of Prayer Medway. Each year, hundreds of believers from across the generations, nations, and denominations gathered on the Day of Pentecost (“they were all together in one place” Acts 2: 1) in a variety of venues. The final two years were held in and around an open air marquee pitched on the highest points overlooking the Medway Towns (“Get yourself up on a high mountain, O….bearer of good news, lift up your voice mightily….” Isaiah 40:9). They sang traditional and modern hymns and spiritual songs, prayed for the welfare of Medway, heard the Chief Executive of Medway Council read from the Psalms, listened to Rob Frost preach an outstanding gospel message, and witnessed a moving testimony from a now ex-Gills player. In attendance were the Mayor and Lady Mayoress of Medway, local MP’s, the Chief Executive of Medway Council and many departmental heads, the Bishop of Rochester and many area denominational overseers. The afternoon and evening saw a further 3½ thousand come simply to celebrate 2000 years of Jesus Christ in music, song and dance.